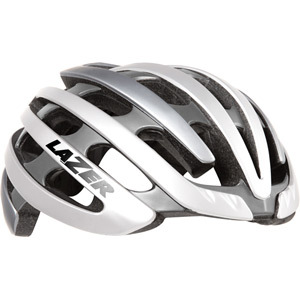 The Aero Shell is a plastic cover, designed to fit perfectly over specific models of Lazer helmets. The Aero Shell snaps into place and protects the riders head from wind and rain while still allowing for some air movement under the front of the helmet and out the rear vents. The Aero Shell is unique in that it is easily removed from the helmet when riding conditions are such that additional ventilation is desired. Alternatively the Aeroshell provides a significant increase in Aerodynamic performance once it is installed on the helmet. By closing off the ventilation holes, the amount of aerodynamic drag the helmet creates is strongly reduced, resulting in a faster ride. The LifeBEAM helmet is compatible with most fitness apps and devices!